This is the only online lecture (reflection) I could find for the brilliant author of “Finite and Infinite Games,” retired New York University professor, James P. Carse. In this lecture, Carse talks about religion, war, finite games, infinite games, self-veiling, poeisis, religion and more. This is well worth your time if you are interested in these kinds of things. “A modernized version of Oscar Wilde’s ‘Salome”, JOHNNY 316, directed by Erick Ifergan, unfurls in the boulevards of Hollywood, California. 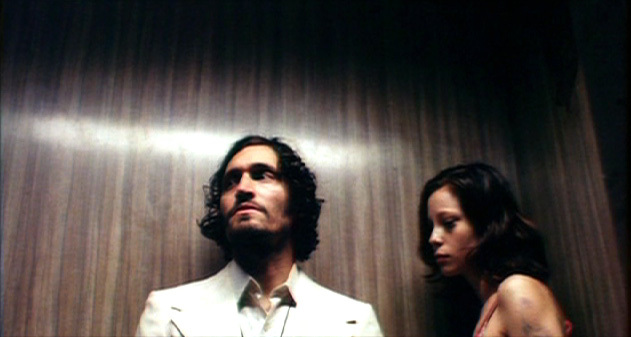 Vincent Gallo plays a penniless street preacher who spends his days giving out pamphlets and spreading the word of God. One day, he meets Sarah, played by Nina Brosh, a beautiful bereft hairdresser who lost her job. For Sarah, it is love at first sight. She follows the preacher home and tries to seduce him. If you have any news of this coming to DVD, please get in touch. When one deals with money, one is already in the realm of the religious, with the worship of a holy item. The accumulation of money when well achieved and comfortably at bay provides an almost heavenly comfort. When money is forced away from us, a kind of existential loss is forced away as well. The loss of one’s monetary supply is more than just the loss of an object, but a threat to one’s very grounding in the world. In industrialized countries, money represents, among other things, safety, status, power and control. The religious nature of money can be felt also in times of mass earnings. We are always happy when it is “payday” or when we receive a monetary bonus from our job. Spending money, too, is religious. An item high in price, perhaps a rare item, is precious to us, shines for us and momentarily enchants us with its wonders. Or, conversely, an item which we know is worth a pretty penny, when found for a lot less than its asking price, sends shivers up and down our spines. Sometimes, we may even tremble knowing the secret monetary value of the “cheap” object. Money slips from us and we wait again for its arrival while either trying to amass what fortune we have while spending bits and pieces on daily necessities or concentrating our powers on some elusive ever out of reach object, which calls to us though just outside the range of our pocket book. We live this life passing money from hand to hand and find ourselves surrounded in this realm of cash or credit. 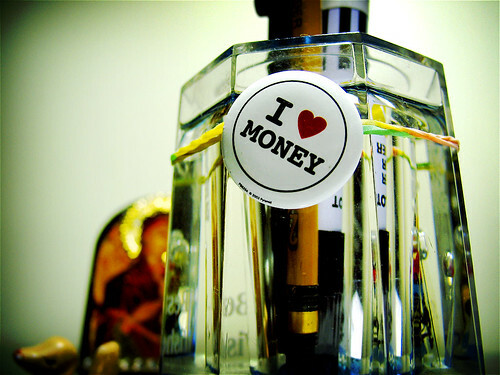 Money, money, money…. To be the animal who is caught up in his own image, for Cioran, is an unnatural state of being, a state of being only known to humans. He writes, “A shadow grappling with images, a somnabulist who sees himself walking, who contemplates his movements without discerning either their direction or their cause (Cioran 42).” It is in this recognition and experience of self-reflexivity that we have become human, the creature who is here, but is nonetheless distracted by the virtual image of how we see ourself to be as reflected by those around us (the virtual creature). It is through this indirectness that we confront the world, that we have seperated ourself from the purity of vegetative existence. Moreover, it is no accident that Cioran used the word “shadow,” for the shadow represents the terrifying and haunting, nonetheless blank image of oneself, the image that one cannot get rid of no matter how hard one tries, the blank space between us and the Real. Despite this, Cioran writes the following: “Transcendence possesses certain curative powers: whatever disguise he assumes, a god signifies a step toward recovery. Even the Devil represents for us a more effective recourse than our own kind (Cioran 43).” That is, to escape from this as mentioned in the Claudio Fragasso film Troll 2, “kingdom of shadows,” one must seek that kernel of Being that is still apart of oneself, that point of Being and not being, that sustains one’s being. Again, for Cioran, to focus on the human, is to focus on that which is has emerged out of an error, out of a lie, therefore one must seek, as a mode of recovery, transcendence in the image of a god, that is, of a force still in direct communion with Being itself. In this way, the human should humble itself to the margin, to the cracks, seeking to regain the Void from which it came, the neglected tree of life. I quote, “Obscured by metamorphosis, by possibility, by the imminent grimace of ourselves, we accumulate unreality and dilate ourselves in the false, for once we know ourselves, once we feel ourselves to be men, we tend to gigantism, we want to seem larger than life (Cioran 44, 45).” To restate, along Cioranian lines, unreality is homologous to the human situation, “the kingdom of shadows.” Moreover, the consequences for living through this myopic falsity is gigantism, imagining oneself to be more than what one really is. Having severed ourself from the tree of life, this, for Cioran is the consequential status of our existence. “human.” Moreover, Cioran suggests a return to the theological, the sacred, to a communion not with others, but with God. That is to say, he calls for a way of living in light of and toward the tree of life, that forgotten tree, which was, for him, regretfully passed up for the curse of knowing. The first idea presented by Cioran is the idea of humans as creatures that have deviated from the normal course of earthly life. He writes, “We perceive first the anomaly of sheer existence, and only afterward that of our specific situation: the surprise of being precedes the surprise of being human (Cioran 33).” For the creature endowed with the faculty of knowing, of being able to reflect, there comes moments of shock, moments of shock at feeling oneself to be somehow not a part of all that one perceives, to be part of and to be separate from all that one perceives. For Cioran, this unnatural state is particular to human beings. That is, for Cioran the natural processes of the environment, surprising and overwhelming to humans, are more natural than being the creature who is able to be surprised by them. That is, the human sticks out of the natural way of the environment as being more than animal, but less than a God. The human is the creature who symbolizes and deals with the world in terms of how it is not. Cioran recounts the blissful Garden of Eden while reminding us that even our first ancestors must have felt, what he refers to as “a certain malaise (Cioran 35).” It was that malaise that prompted Adam and Eve to follow more closely the words of the Tempter, the words which for some reason rung more clearly than the communications from God. That is to say, our Edenic roots themselves were never pure, but were already poisoned with the powerful sap of malaise. Moreover, once the tree of the knowledge of good and evil had been accessed, the realization of their choice as a personal choice changed everything. He says, “Had we fallen from a total, a true innocence, nothing could withstand the vehemence of our desire to regain it; but the poison was in us already, right from the start, vague at first, increasingly distinct until it left its mark upon us, individualizing us forever (Cioran 36).” It is this ancient curse of individualization that we suffer in times of all encompassing negativity or in times of frantic action; the need to produce is a consequence of knowledge. This is also what Cioran refers to as “the horror of happiness (Cioran 36),” that is, the inability to find happiness as something implicitly within us, but as something that we must search for, something not a part of us. Similarly, the human situation is one overrun by fear, by as Cioran mentions a “virtual fear.” What this means is that human is the creature who can exist through fear even in the absence of any actual present danger. The capacity to imagine the fearful, the horrible is a unique faculty of the human situation. 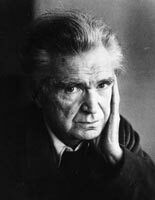 For Cioran it is this virtuality of fear that drives the human to produce, to escape from the prison of one’s self, to act only to distract from the presence of fear. He writes, “Fear defines us to such a degree that we no longer notice its presence, except when it withdraws or relents, those serene intervals which it nevertheless impregnates and which reduce happiness to a mild, an agreeable anxiety (Cioran 41).” That is, fear is so much a part of the human that we can sense it only when it flees from us, and then, only briefly do we get a glimpse into the eternal Void lurking in between, peeking from the margins of fear. Plunging deeper into the descent of the human creature, Cioran writes, “Having abandoned his origins, traded eternity for becoming, mistreated life by projecting his early aberration upon it, he emerges from anonymity by a series of repudiations which make him the great deserter of being (Cioran 41).” It is along these lines that Cioran continues to sketch a portrait of the completely fallen human being, the being aware of being, proud and humilated in the face of death, reliant on technology and skilled in conquering all this is beheld, the time-ridden and depraved human. I cannot help but adore Cioran. First time I read “A Short History of Decay” first of his books I ever read, I cried and laughed and said to my self “Mein Gott! He knows!” (because somehow taking the Lord’s name in vain seems less wrong when done in German).